If you have a Lenovo IdeaPad A1 and want to reset Android because your tablet is kinda of slowish, throwing errors at you, or you’ve even forgotten the lock pattern, this tutorial will help you. We will teach you how to perform a hard reset on it’s Android operative system, which will return the Lenovo IdeaPad A1 into it’s default factory settings. This may solve most of your problems, if not all. For starters, it will “forget” the lock pattern password. The two reset Android methods that we will teach you will lead to the same end, get a clean Android operating system. Please consider that the reset Android procedure will thus eliminate all your personal data, including installed apps, docs, mails, etc. This method of reset Android on your Lenovo IdeaPad A1 is quite simple achieve , if you still have functional access into your tablets’ OS. You just enter into the application menu, then go to Settings, go to Privacy , select Factory data reset and access Reset tablet, in this last screen select if you want to format your memory Micro SD so that your tablet is completely clean , finally press Clear All . After a few minutes, your Lenovo IdeaPad A1 tablet will reboot and behave just as if it is being unboxed for the first time. 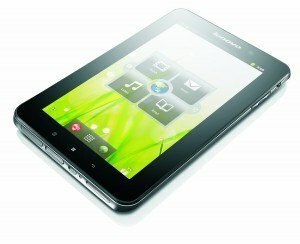 You’re done with the process of Android Reset on your tablet Lenovo IdeaPad A1. Hopefully this will solve any issue you may have with your tablet!